Select your dates of stay and the type of accommodation you require to view availabilities and rates. 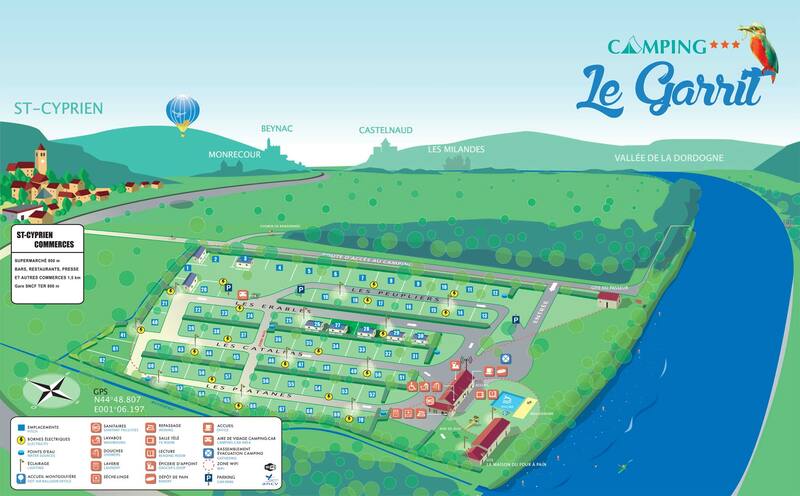 Five mobile homes comfortable and highly secure located 50 meters from the pool and 80 meters from the beach are available at the campsite Le Garrit *** (see map of the campsite). 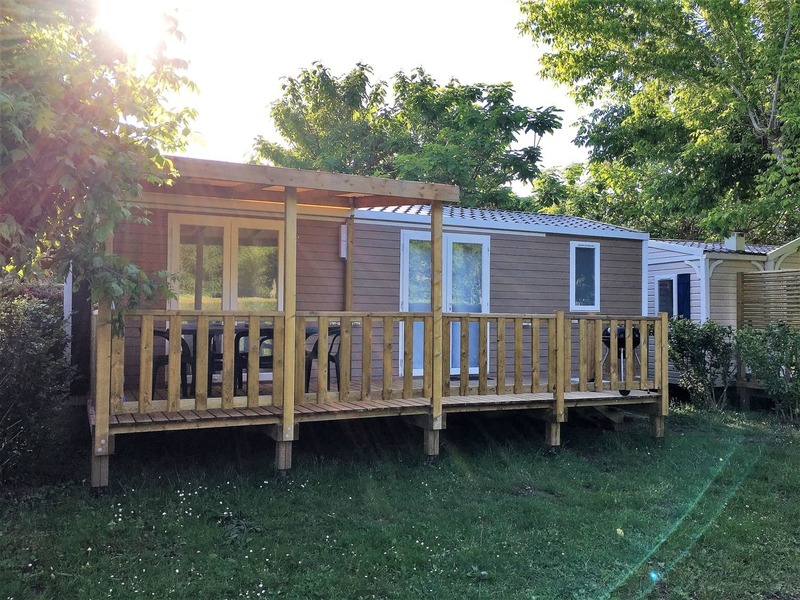 Each mobile home has a grassed area with terrace, a garden furniture and a barbecue. What to spend the best holidays in the sun along the Dordogne in a natural environment of excellence.